Our CAES total system performance TOUGH2 model code analysis indicated that the Norton Mine could support 2,700 MWe of turbo-machinery units. Hydrodynamics also designed the air injection/withdrawal well system and prepared a conceptual shaft plug design. In addition to CAES activities, Hydrodynamics was responsible for mine maintenance and safety, underground project permitting, environmental site accessment, and geotechnical soil foundation investigations for the power plant foundation design. 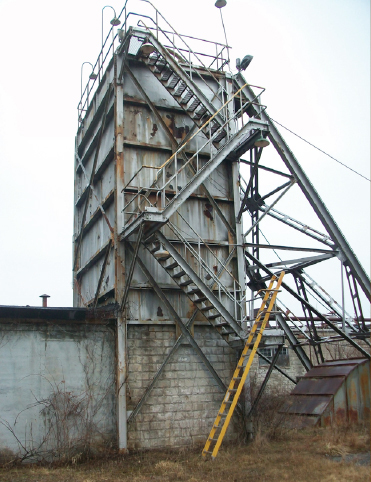 Hydrodynamics is working with FirstEnergy and Harrison Western Construction, Inc. to rehabilitate the Norton Mine service shaft in preparations for construction of the Norton CAES air storage system. Hydrodynamics is also finalizing the design of the mine air storage system, including air injection/withdrawal wells and shaft plug designs.